Truckback Records has recently released the Ole Axle Riddim on the Apple iTunes Store and other leading digital retailers via Rebelmix Inc. After taking 2007’s “Gear Box” riddim to number 1 on the BBC 1Xtra Dancehall chart by way of Erup’s runaway “Click My Finger” track, Truckback Records new “Ole Axle” riddim is now also poised for success. The Ole Axle Riddim features tracks from Monster Hemp Higher, Junior Cat, Munga Honourable and Vybz Kartel among others. With this solid mixture of new and established dancehall talent, initial singles from the “Ole Axle” riddim have already seen chart action in Jamaica, the rest of the Caribbean as well as on the BBC. Relative newcomers to the scene, Truckback Records takes its name from its studio and offices which are cleverly situated inside a former moving van. Despite its innocuous location, however, the production company, label and studio have become one of the hottest properties in Jamaican music, and owners Adrian, Andrew and Steve Locke have solidly established themselves as leaders of the new school. All trained musicians who can play among them the keyboards, guitar and drums, the Locke brothers have chosen to focus on producing, especially after their success with the “Gear Box” riddim. 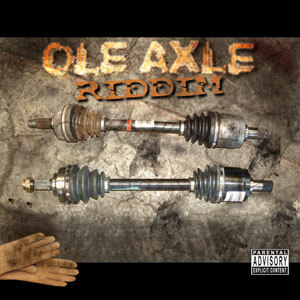 (All Truckback riddims have truck related names, including the “Clutch”, “Springblade”, and now the “Ole Axle” riddim). Truckback Records is now working on an album for their upcoming artist Baijie, while also creating some dancehall tracks with well known Trinidadian artist Bunji Garlin. By focusing on creating new songs specifically for their riddims, Truckback Records have a truly original sound. Download the one-sheet for the Ole Axle Riddim here. VOTE FOR CEZAR AND MARIAH CAREY REMIX of "I'll Be Lovin' U Long Time"
Could Dancehall Be The Ruination Of Reggae?